Holy moly folks – lots of stuff happening in our world over at Robot Paper HQ. We returned last week from an adventure at Wizard World Chicago with new friends and new updates. We had a special guest with us for the weekend, Lyle Coleman, co-creator of Captain Flynt & the Corsairs of the Seven Systems. 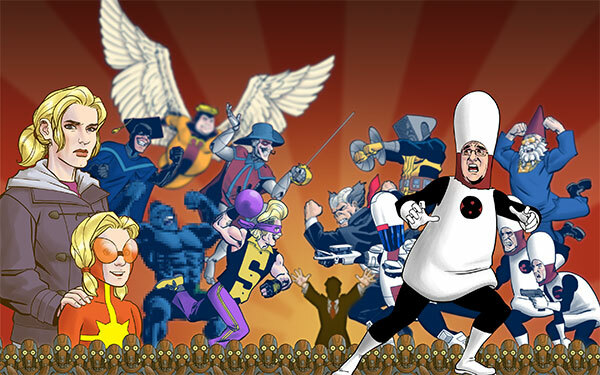 For those of you that haven’t had the chance to check out their fantastic Kickstarter project, be sure to do so – with art by our favorites Ryan Howe and Ronda Pattison, you will not be disappointed. We’ll be heading to Cincinnati Comic Con with Lee Cherolis & Ed Cho (Little Guardians) and Lyle, so if you are in the area, be sure to stop by and say hi! 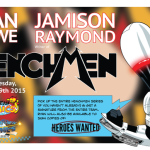 Finally – we are happy to announce that we will be releasing a Henchmen trade paperback in December. We’ll need your help to bring it to life, and will be returning to Kickstarter to make sure we can make the book as awesome as it deserves to be.